Over the past few months, there has been a lot of debate about health care in the United States. Here are a couple of pieces I found interesting. I certainly didn’t agree with what everyone wrote below, but I found the pieces thought-provoking. A few years ago, I wrote about the difference between the Kerry and Bush 2004 campaign websites. I noted that the Bush site had a significant amount of negative campaigning compared to a lack of any negative advertisements on the Kerry web site. 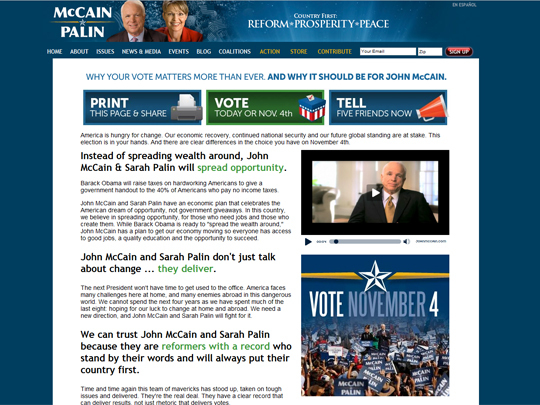 Last week, I went to the websites of the Obama and McCain websites to compare the two candidates’ sites again. The first significant difference between the two sites was the use of an interstitial page prior to the main web site. 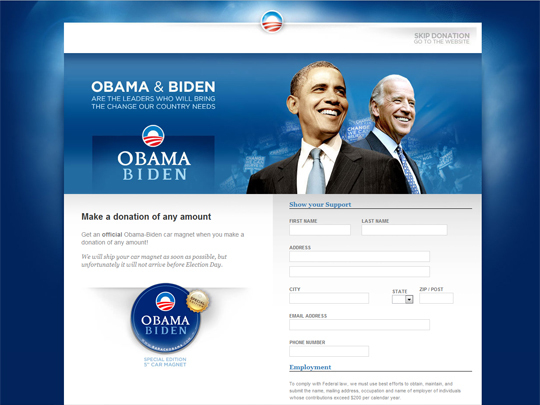 The Obama web site had a large plea for money, while the McCain web site had a continuous stream of videos from his campaign. I found the Obama plea for money to be fairly obnoxious. However, it was probably successful based on the amount of money he has raised from small Internet donations. 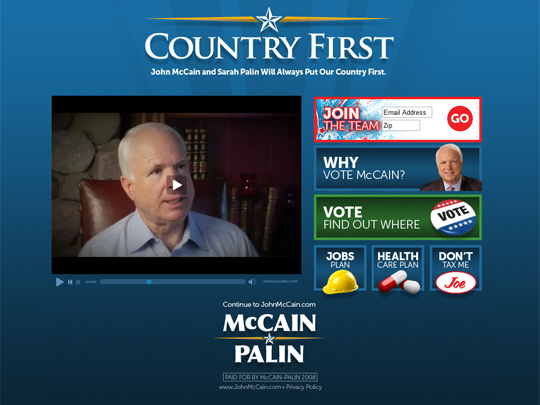 The advertisements on the McCain interstitial were positive and focused on McCain’s prior service. I was pleasantly surprised after the interstitial: both campaign web sites contained a significant lack of negative advertising. The Obama web site seemed more focused on general feelings and optimism, while the McCain site seemed more focused on contrasting the two candidates. However, there was none of the invective found four years ago on the Bush web site. Both sites this year were focused much more on individual participation than the previous election. 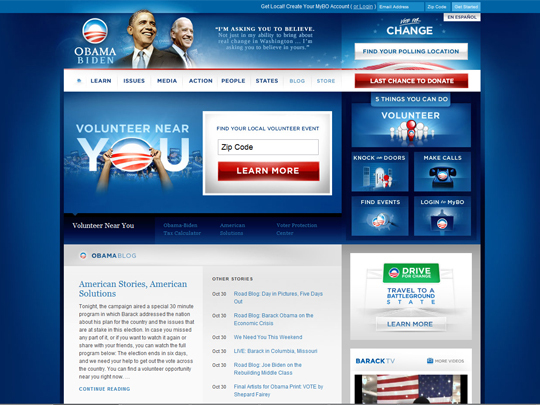 Major elements of the McCain and Obama web sites are focused on volunteering and grass-root efforts. As vicious as this year’s campaign with racism, sexism, ageism, and bigotry, I believe incidents like the swift-boating of Kerry or the Killian document controversy regarding Bush were a low point in American politics. In particular, the swift-boating of Kerry was a disgusting and heavily financed effort to impugn his military career that was made with the full support of the Republican establishment. For the record, I believe Barack Obama is the best person to lead the country, and I recommend that everyone go out and vote for him. It turns out that “Joe the Plumber,” described by John McCain in the McCain/Obama debate last night, may be related to Charles Keating of “Keating Five” fame. You can read about it on Martin Eisenstadt’s Blog and the Daily Kos. Don’t believe water-boarding is torture? 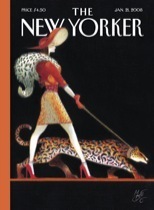 Read Christoper Hitchen’s piece on undergoing waterboarding, Believe Me, it’s Torture from the August Vanity Fair. You may have read by now the official lie about this treatment, which is that it “simulates” the feeling of drowning. This is not the case. You feel that you are drowning because you are drowning—or, rather, being drowned, albeit slowly and under controlled conditions and at the mercy (or otherwise) of those who are applying the pressure. The “board” is the instrument, not the method. It’s not a matter of elitism or cost. In a city with over 18,000 restaurants with tasty and affordable food, many of them small businesses, it’s sad that a presidential candidate would choose to visit a large Florida-based chain restaurant with mediocre food that promotes overeating and homogeneity. At the very least, he could have chosen to dine at a restaurant owned by a company whose core values mention food beyond becoming “the best casual dining company.” (Check out Darden Restaurant’s core values; they are a cookie-cutter set of values that could describe almost any business.) Given the level of imagination and innovation Huckabee has in his restaurant selection, can you trust him to lead the country?